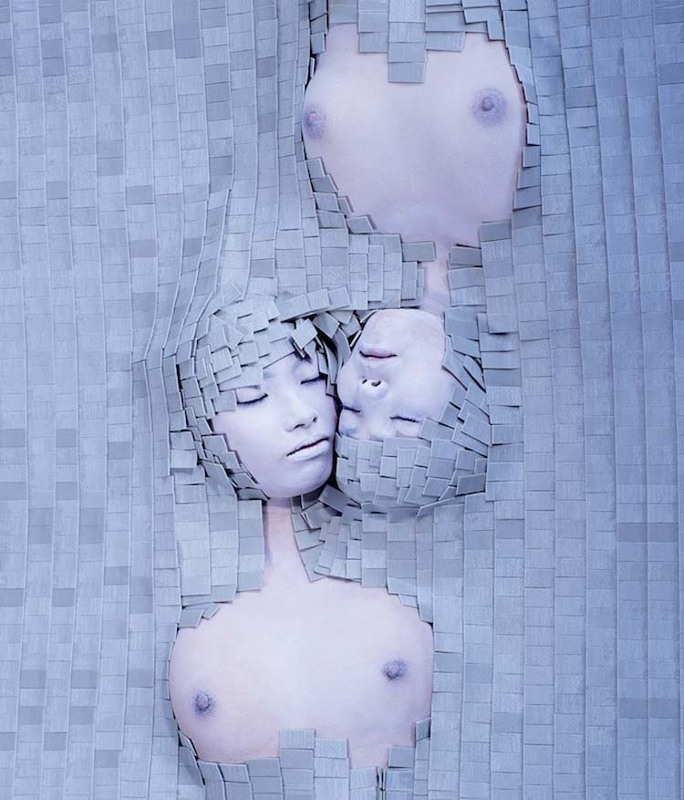 Japanese artist Noriko Yamaguchi works in video animation, photography, illustration and performance art. Her art, rigorous in its form and composition, stems from intimate experiences, thoughts, and references to personal memories and cultural encounters. It concentrates on the human body and its relation to nature, tradition, social environment and technology. 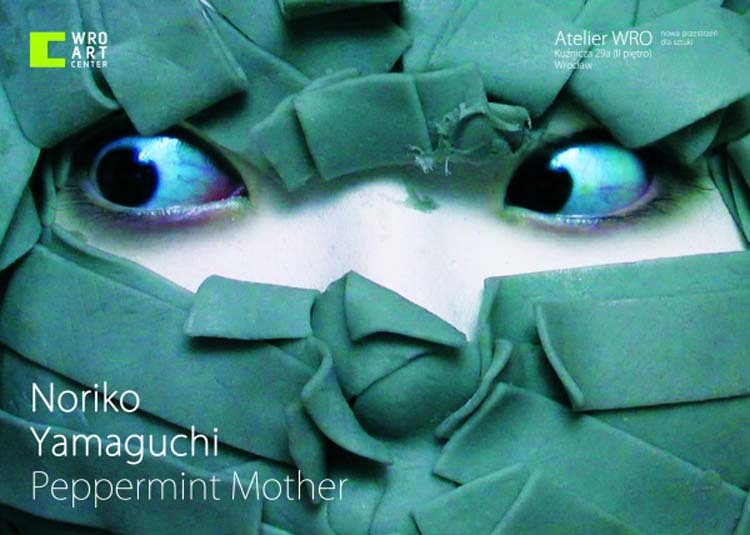 In her photographs and claymation video titled Peppermint Girls and Peppermint Mother, Yamaguchi’s imaginary characters are creatures borne from chewing gum. Her video, below, shows numerous living gumsticks moving around and covering every part of Yamaguchi’s body. All her works are self-portraits with the idea of transmutation of the human body.